Graduates will demonstrate an understanding of Christian theology, ministry, and spirituality. Graduates will be aware of and critically engage ecclesiastic, societal, and global issues from Christian theological perspectives and demonstrate the ability to make informed choices toward positive change. Graduates will demonstrate the ability to identify critical issues of diversity and make appropriate responses. Graduates will be able to pursue careers consistent with their education. 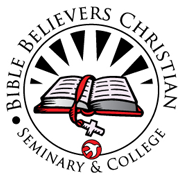 Graduates will demonstrate the integration of Christian spiritual formation and character.